This is one of the coolest thing I seen in Linux. 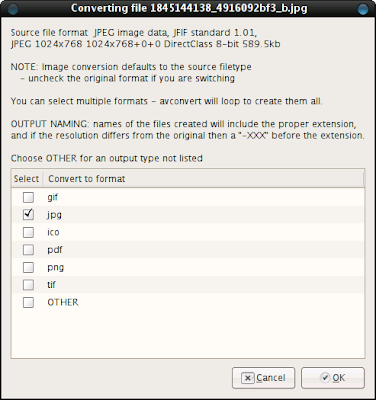 Now converting image formats from and to for the various image/video formats is lot easier. A script is available for the same. Download it. You will need to place it in “/.gnome2/nautilus-scripts” in your home directory. To use the script right-click any image/video file, navigate to ‘Scripts’ » ‘avconvert’. 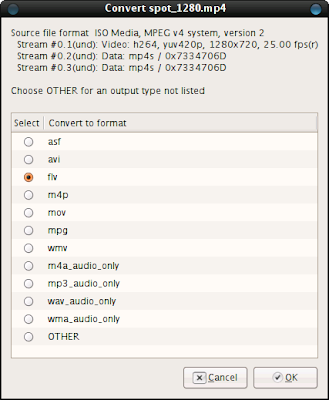 However you will need to install ‘imagemagick’ for image conversion and resizing thing, and ‘ffmpeg’ for video conversion to get the script working. Produce a WAV file from your text. The screenshots shown below can explain all. I’m the author — thanks for posting this reference! The script and some documentation are posted at gnome-look.org and has been picked up at a number of other sites as well. Look for “avconvert”.